Get the best possible chance to reel in the big catch on this half-day fishing charter from Punta Cana. 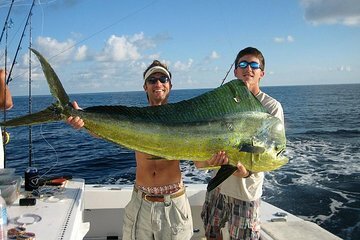 Let the local captain show you the most fruitful local fishing spots, where you can get as little or as much help as you want angling for dorado, yellowfin tuna, mahi-mahi, and other fish. Refreshments and all equipment provided for a full-service experience.